I completely agree with you that resumes are not dead yet. While having a solid LinkedIn profile is essential, having a well-written and nicely formatted resume is equally important. I would caution on the resume formatting, I have one that while visually stunning and it always grabs the attention of those that see the physical copy, it gets torn apart in an applicant tracking system in the parsing process, and generally makes a mess of it. You need an ATS version that is very, very plain and has virtually no formatting. My resume, posted on the internet as a page in my blog, is a part of my passive recruiting strategy – it is another way for recruiters to find me. But really, what is going to both kill the resume and keep it alive is what the resume is for – it is a substitute for (at least part of the process of) getting to know someone. Why do so many jobs not show up on the job boards? Because someone knows someone. For these transactions, a resume is not needed between two parties. For example, if the hiring manager already knows me, the resume is just a form that the manager needs to file with HR (so they can “know” me). If my connection is a step removed from the hiring manager (I know someone in the company) their recommendation is part of how the hiring manager gets to know me, with the resume to help fill in the blanks, and an interview to round out the process. The more that using a connection to get a job becomes the normal way to get a job, the less relevant a resume is in the hiring process, except as a form to be filed as a proof that nepotism isn’t the (primary) reason the candidate was hired over other candidates. Resumes are only significant in the hiring process when the hiring manager does not know a good candidate (either directly or through contacts) and the resume is used as a proxy for an introduction. That is a really interesting way of looking at a resume. I agree with you but when the hiring manager is young I suspect the resume is not as needed as a good social profile. That´s right seems a resume to be a last resort for the HR. Yeah all about who you know regardless of your college degrees. Infographic, video and social media profile could be replacements for the quaint resume. Your generalisation of baby boomer hiring managers wanting a resume on heavy stock paper is a disturbing piece of ageist rubbish. It is no longer necessarily the way the over 50’s conduct their interview process; I am one as are many of my friends. I have been managing large companies for over 30 years and along the way my interview process has changed depending on the role and the best process to recruit for that role. Currently we often have the initial pre-interview discussion over the phone looking for ‘fit’ and communication and negotiation skills. It is disappointing you have chosen to pigeon hole the over 50’s as old fashioned and stuck in their old ways. Not fair or accurate. This is no different than do you write a cover letter. Most recruiters and hiring managers will not read it. However, there will be enough recruiters and hiring managers who will require and without it you will be kicked out. 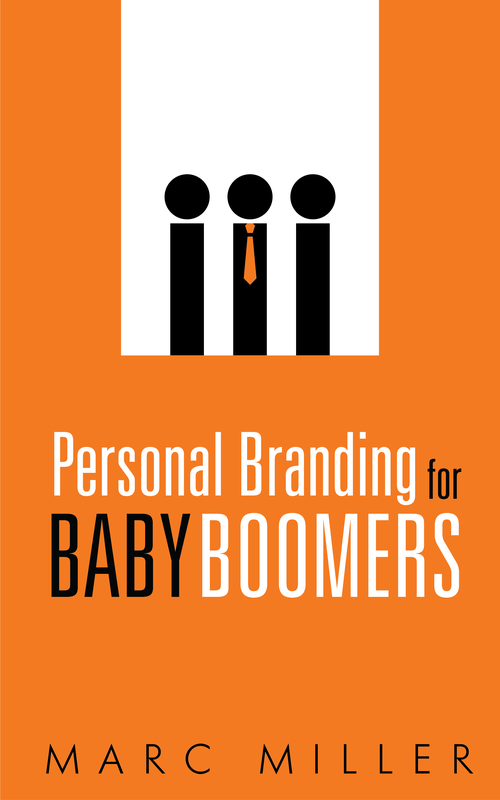 Even if it is only 10% of baby boomer hiring managers who would expect you to bring a resume then bring a resume. Yes, you might impress them if it is on heavy stock paper. I am sorry if I offended you but many boomer managers, not all, will be looking for you to bring a resume. You as a job seeker want to risk being wrong? I DO think the cover letter is dead. Your resume should project enough about who you are. Cover letters are only read by a few recruiters. However, you do not want to be kicked out by the lack of one in that one case where the recruiter requires it. So you really should submit one everytime. So you are kinda right. There are also more hiring managers who will read a cover letter when it is down to three or four final candidates. A strong cover letter, tailored to the company and position CAN make a difference and very occasionally it might make THE difference. At every point in the hiring process now, especially for jobs over $50 or $60K (it used to be for six figure jobs, but has gotten tighter and more competitive) you DO NOT want to be knocked out for not having excellent materials. Hiring seems to have turned into more of a “knock out derby” than a process to select the best candidate (though that still seem to be what it is at the end.) Both resumes and cover letters are still 100% necessary, but no longer sufficient in most cases. Some companies don’t even have a way to upload a cover letter, I keep them in separate documents. Also while it seems like most of the discussion is focused on large companies, I think that the smaller the company, the more important the cover letter is. I live in a small rural community with lots of small family-owned businesses and know very few hiring managers that would consider a resume without a cover letter. I don’t think resumes are dead but I think resume PAPER is dead. I always just print a bunch of copies on a regular printer. No one cares. Plus I think using resume paper will MAKE you look older. Correct. Who buys resume paper anymore? I just gave some leftover resume paper to my wife for printing certificates for completing the workshop she was organizing. Literally, as I sit here, I am contemplating attaching a resume. I feel it is redundant. Every job I apply for online has me fill out an extensive application. With a resume, I feel I am just repeating myself. Do they really need to see everything twice? Are they not paying attention? Really…I would like to know. What is the point? Is it easier on their eyes? I’m either qualified and they want to meet with me…or not. At the end of the first section, it says “Note – This post was originally written in December of 2013. It was updated in January of 2018.”. So it was not 2003. It is about demonstrating what you can do and not telling them that you can do it. Thank you for the reply Marc….I missed that. I’m not quite sure I am understanding your explanation though. If I were a truck driver, I wouldn’t be able to show you any better on a resume how good I drive. My application has all the same info. In the long run, it’s probably better to have it than not, just always seems like I am only reiterating things. No the Resume is pointless, if you are applying as lets say a Technical Writer no question you can do the Job or you would not be there. I say just meet, if you like the person hire, if they cannot perform, goodbye. Resumes are archaic and they end up in dead stack anyway. How are they going to know all of your work history? Are you going to give them an oral history?